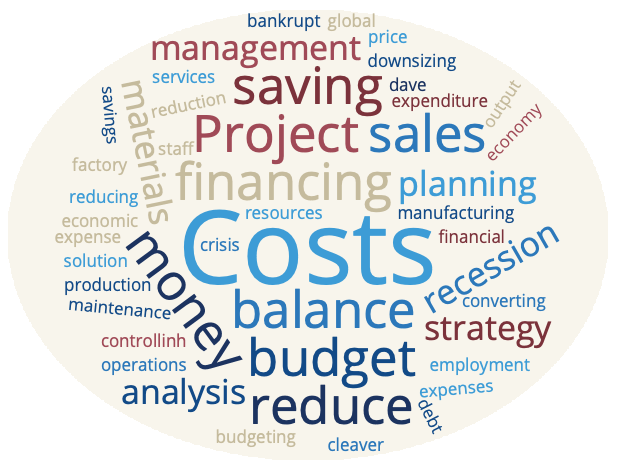 When business is good, it’s easy to forget that by implementing year-round cost reduction strategies, you may avoid having to take more drastic measures in leaner economic times. These strategies could range from reducing personnel or buying cheaper office supplies to converting manual processes to electronic ones, or outsourcing payroll or recruitment. Given the wide range of possibilities to consider, it is not surprising that different employees may have different approaches to cost reduction, depending on the combination of colour energies they are strong in. Insights Discovery® uses a four colour model, comprised of Cool Blue, Fiery Red, Earth Green and Sunshine Yellow energies, to describe people’s strengths, styles and team contributions. The unique combination of these helps to determine why we each think and behave the way we do. On a good day, an individual that can use Fiery Red energy may be focused and decisive, looking to reduce costs by spending time on activities that will have the greatest impact. However, if they face losing control or a lack of respect, they may be impatient and forceful. They may need to dial up their Earth Green energy to be more diplomatic, patient and empathetic. This may help to avoid a negative impact on someone that leads with Cool Blue energy. This individual may naturally be consistent, precise and self-disciplined. They may focus on the examination of any processes that can be streamlined in order to reduce costs. However, when faced with time pressure from an impatient colleague, they may become more reserved or insensitive. A team member that can use Earth Green energy is likely to look to reduce costs with minimum impact on others. However, fears such as isolation from, or conflict with, peers may cause them to become emotional or stubborn. They may need to dial up their Sunshine Yellow energy to be more dynamic and optimistic. An employee that leads with Sunshine Yellow energy will seek to include all staff and ideas to reduce costs, while a lack of recognition or disapproval could lead to such an individual becoming unpredictable and unreliable. If they are aware of this, they may be able to dial up their Fiery Red energy to enable them to become more focused and decisive. The mix of colour energies within your team or organisation may help to highlight the cost reduction strategies that will be most effective will cause the least disruption to the workplace dynamic. Self-awareness is key. If you know how you are likely to respond in different situations and how this will affect other team members, it is possible to change your approach for the benefit of the whole team. Would you like your team to be more self-aware? Contact us for more information. Performance – Workplace Development is a Licensed Distributor for Insights Discovery®. We develop high performing teams. Need to know more? Check out our Insights Discovery® page for ways in which we could help you.